In this guide we’re going to show the easiest and best way to watch eir Sport in the UK. 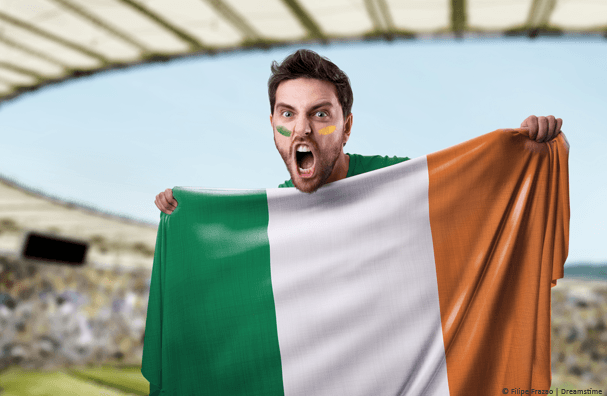 If you’re an Irish sports fan you know eir Sport has plenty to offer, with live coverage of British football, Gaelic football, hurling, golf, cricket, Australian rules football, boxing, NHL ice hockey and both rugby codes all available. Unfortunately, it is not available outside the Republic of Ireland, which is an annoyance to many Irish ex-pats in the UK. So, to watch the live online streams, you will need to sign up for a VPN. A VPN allows you to reroute your internet data via another location and make it appear as if you are in that country. So if you’re in the UK you can use a VPN to make it appear as if you are in Ireland and so watch eir Sport coverage, just as if you’re sat in Dublin or Cork. To watch eir Sport in the UK, you need to sign up for a VPN. This will enable you to log into your eir Sport account and watch anywhere in the world. A VPN is an online tool which can be easily downloaded onto your Windows or Mac computer or as an app for your Android or iOS mobile device. A good VPN usually costs around £5 (€5.50), but the longer you sign up for, the cheaper they become. Follow the simple instructions below to sign up and install a VPN and use it to watch eir Sport in the UK. Sign up to IPVanish. They offer a no quibbles, 7-day money back guarantee if you’re not totally satisfied. From their website (or the appropriate app store for mobile devices) download and install their software. With an IPVanish account, you can install the software onto as many devices as you like. Once connected you can then visit the eir Sport website or launch their app, sign into your eir Sport account, and you’re away. If you have any problems using the IPVanish software or app then have a quick watch of our example video below which shows how to connect using IPVanish. Or if you’ve got lots of time on your hands then our VPN Comparison Guide compares the top 20 providers on the market right now. With your new VPN service, you can now watch eir Sport from across the UK or indeed anywhere in the world. You will still need an eir Sport subscription (so a quick call to your friends or relatives in the Emerald Isle might be necessary), but then, rather than finding the service blocked, you will be able to watch the full range of eir Sport channels, including eir Sport 1 and 2, BoxNation, and all four BT Sport channels. And your VPN will not just help you to access eir Sport, but any other geo-restricted content from the Republic of Ireland, or (if you connect to a different country) anywhere else too. And what’s more, a VPN will also protect your privacy online, stopping hackers and Government snoopers from seeing what you are doing online. eir Sport is an Irish broadcaster which holds the rights to broadcast the various sports it shows in the Republic of Ireland, but not in the UK. They, therefore, use geo-restriction technology to stop people in the UK, and elsewhere, watching their content online. To do this, they use your IP Address. This is a code which is automatically assigned to every internet connection and includes information on its location. If your IP Address tells eir Sport you are located in the UK, it is then easy for them to block you. But a VPN changes your IP Address to the IP Address of their server. This means that if you connect to a VPN server in the Republic of Ireland, it will appear to the websites you visit that you are located there. Therefore, sites like eir Sport will allow you to view their content. Deciding which VPN to use to connect to eir Sport from the UK is difficult. There are a lot of VPN providers and most claim to be the best around. But the fact is that not every one is suitable for streaming content on a site like eir Sport. To do that, you will need a VPN which can guarantee fast, stable, and reliable connections. Without that, you will have to deal with buffering and broken connections which will ruin your viewing pleasure. Our testing has suggested that IPVanish is the fastest and most reliable VPN provider for streaming eir Sport. They also offer good privacy provisions and affordable prices. You can read our 2017 review of their service to find out more about what IPVanish has to offer. It really is the perfect solution for Irish expats in the UK who need their sporting fix and indeed anyone with access to an eir Sport account who wants to view their content outside Ireland. Let us know more about how a VPN has helped you enjoy eir Sport by leaving us a message in the comments below.